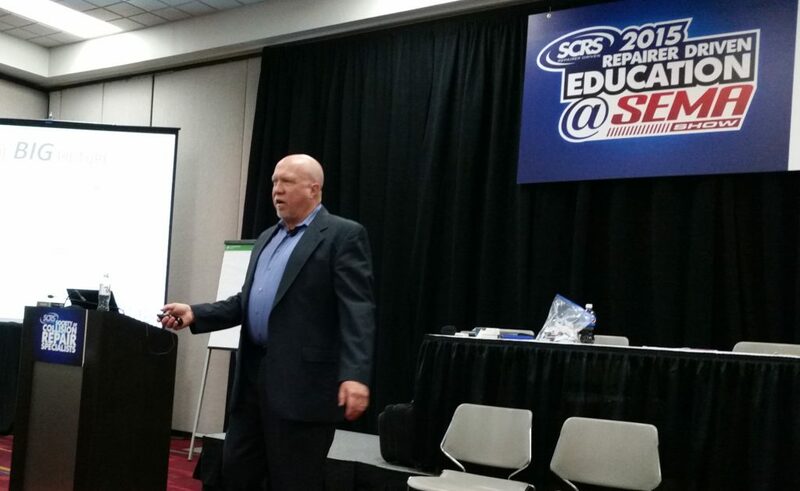 The Society of Collision Repair Specialists on Wednesday announced that early registration has opened for the November 2016 Repairer Driven Education series at SEMA. 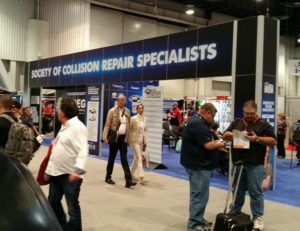 Take a look at the more than 30 educational sessions Nov. 1-4 and make your plans for the classes and the Nov. 3 OEM Collision Repair Technology Summit before all the good, conveniently located hotels fill up. Or just register for the entire week before the early bird deadline and save on both the entire program and passes to SEMA. For the $375 early bird price, you get access to the entire week, the OEM Summit, and the SCRS Sky Villa afterparty Nov. 3 at the Westgate Las Vegas Resort & Casino. That’s a steal since each class by itself is $75, including each of the three consecutive Nov. 3 OEM Summit sessions and the party later that night. Register for the full-series pass here. Or, just register early for an individual class. Below find the lineup and excerpts from the full SCRS-SEMA description. See more and register at www.scrs.com/RDE or with the links below. All events are $75; full-series pass: $375. “In this two-part quality control program, attendees will take a look at repair procedures that can produce large headaches if not done properly, and ways to avoid failures through proper application. “b. Consolidator Business Models and Financials. “c. Single Store Business Models and Financials. “d. Opportunities for Growth in a Consolidating Industry. “Millennials are the largest generation on the planet, and soon to be the ones dominating the back end of the shop where the rubber hits the road. Your traditional ways of hiring, training and retaining employees will likely mean the eventual death of your business due to the lack of people to do the work. Few shop owners/managers know the things that motivate Millennials, what their value system is, how they learn differently than any others you’ve ever trained before or how to retain them once they land in your shop. “Discover your untapped potential in your current facility by uncovering your hidden factory; and moving your business toward perfect production. “This session will provide you with an understanding of the who, what, where, why, and how to success and survival in today’s collision industry. Constant changes in vehicle technology, repair planning, equipment strategy, staffing, and marketing are all impacting stress levels, repair quality and profitability. Part 1: 9:30-11:30 a.m.; Part 2: 12:30-2:30 p.m.; Part 3: 3-5 p.m.
“Vehicles involved in accidents will communicate directly with insurers detailing the accident and severity of the damage. The car will be automatically connected with emergency and towing services, providing exact location of the accident.